Thruster vs Quad – With 5 fin plugs becoming common in a lot of surfboards, a question we get asked quite often in store is – should I surf my board as a Thruster or a Quad? With both fin set ups dramatically changing the riding characteristics of your surfboard, the choice of a Thruster vs Quad is really dependent on how you want your board to perform, the feel underfoot you like, the design of the board, and the conditions you are going to surf it in. Below we’ll look into how these fin set-ups change the performance of your surfboard, what their strengths/weaknesses are and which conditions each fin configuration suits. Hopefully this will make the Thruster vs Quad decision clearer. 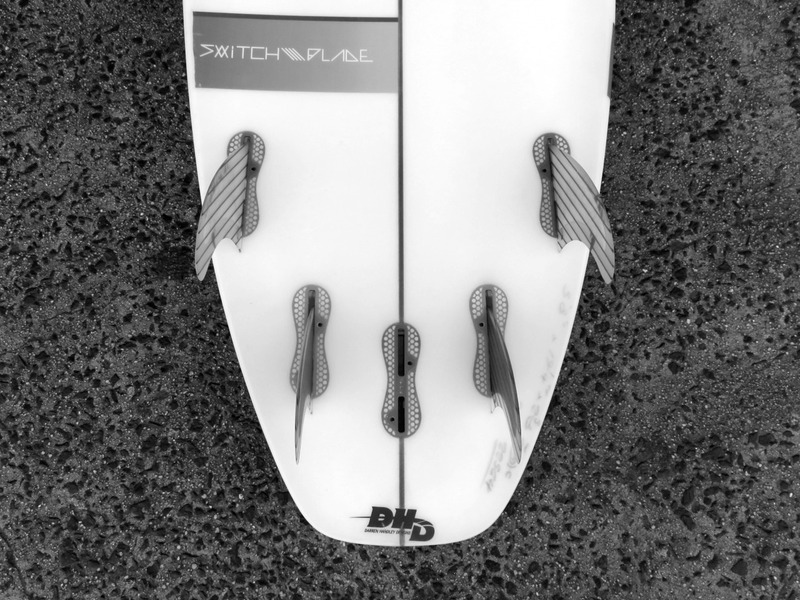 Quad fin set ups have superior down-the-line speed to thrusters. Removing the center fin means that there is much less drag. More fin area is positioned closer to the rail with quads, giving you more hold or bite into the wave face. Your fins are clustered closer together when you use a quad – allowing you to turn in a tighter arc. The extra grip and speed that a quad provides can be put to good use in fast heavy, hollow waves. Also the speed and tight turning capabilities can be a great asset in smaller, peaky, weaker waves. 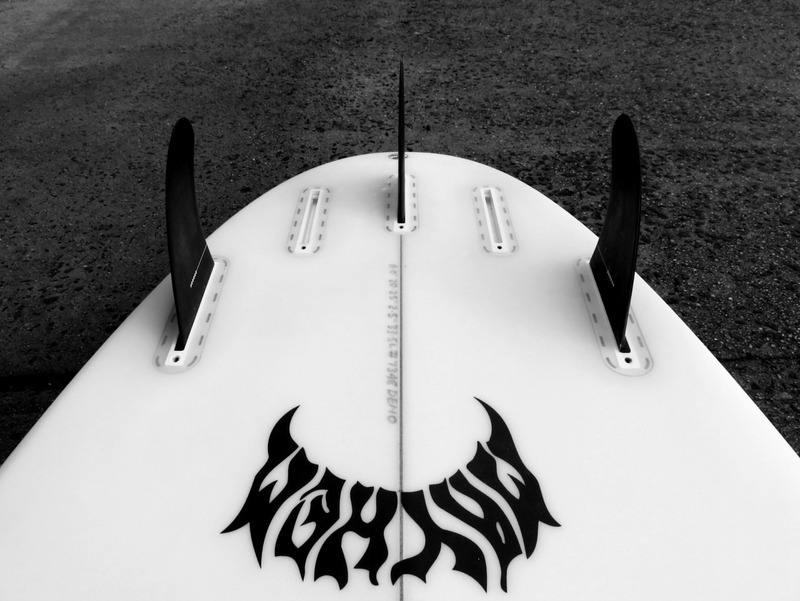 The placement of the quad fin plugs on the tail of your board is also important to take note of. The closer the rear fins are clustered together and the further back they are positioned, the more they will perform like a thruster. 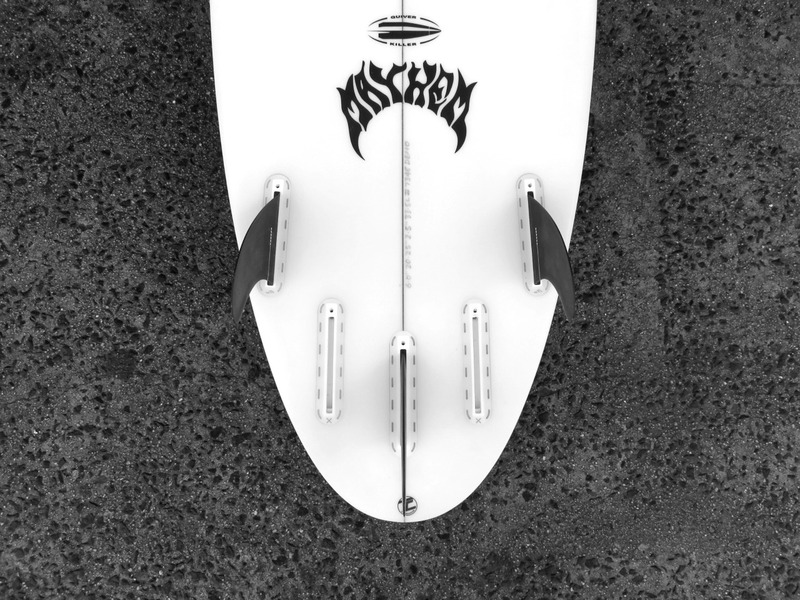 The farther apart the fins sit – the closer to the rail & the front fins – the faster down the line and the tighter the turning arc your board will perform. 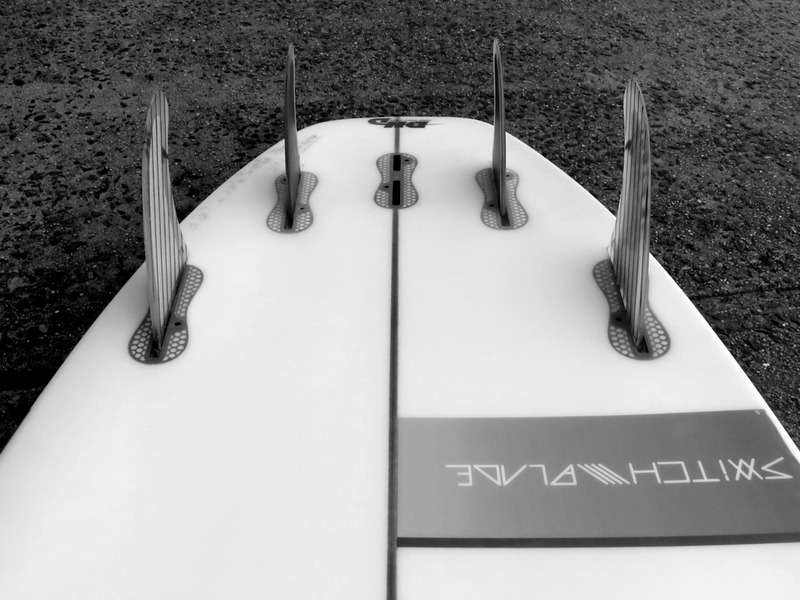 Small wave board designs that have quad options as a general rule tend to place their quad rears closer to the rail and front fins giving you the ability to draw tighter arcs on smaller wave faces, less drag and therefore more speed to help your traverse weaker flatter sections. Placing quads rears further back on the board tends to lend itself to designs for bigger hollower days. It makes the quad design more predictable and allows you to add a bit of length to your carves and helps you hold speed through turns. Quads are great in big surf as they allow you to sit steeper and deeper in the curl. With quads you can definitely hold you line longer, they really allow you sit in more critical parts of the wave at high speed with more control (and less chance of sliding out). The down side of Quad fin setups are that they are slightly unpredictable to ride. When trying to stall, or wash off speed, Quads are definitely not as easy to slow down as thrusters. The way that Quads release out of a turn is quite different to thrusters and harder to control. Let’s now look at Thrusters – there is a good reason why the thruster fin set up is the most common fin configuration – they work! 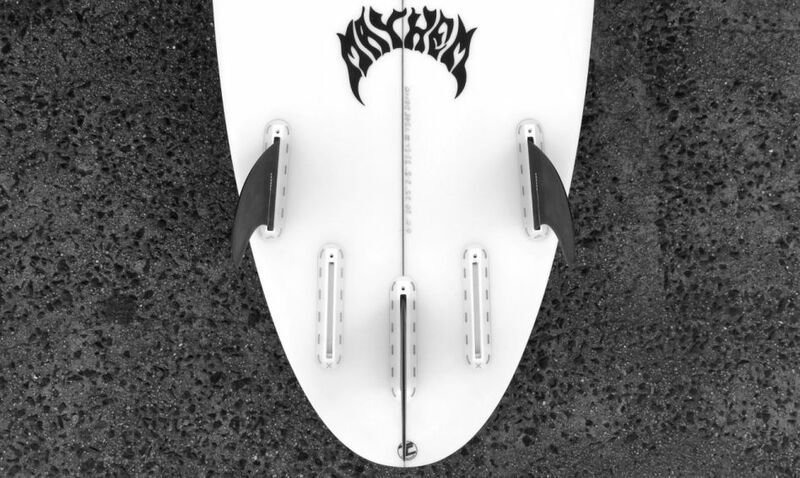 The thruster is the most balanced & predictable fin set up – they are fast, give you excellent control while pushing through turns and an unbeatable balance of drive, speed, and maneuverability. As mentioned earlier, thrusters definitely release in a more predictable, controlled fashion compared to quads and give a more stable feeling underfoot in everday conditions. When searching for a board that goes where you want it to go and does what you want it to do- Thrusters are hard to pass by for these reasons.